1Excludes L model. Not available with special financing, lease and some other offers. See participating dealer for details. 2Excludes L model. Not available with special financing, lease and some other offers. See participating dealer for details. 3See dealer for details 4Conquest incentive for current owners/lessees of a 2005 or newer non GM 5Must qualify through GM Financial. Not available with special finance, lease, or some other offers. Take delivery by 04-30-2019. See dealer for details. 6Excludes L models. Monthly payment is $13.89 for every $1,000 you finance. Example down payment: 5.2%. Must finance with GM Financial. Some customers may not qualify. Not available with lease and some other offers. Take new retail delivery by 4/30/2019. See dealer for details. 1Not available with special finance or lease offers. Take delivery by 04-30-2019. 2See dealer for details 3Conquest incentive for current owners/lessees of a 2005 or newer non GM 4Must qualify through GM Financial. Not available with special finance, lease, or some other offers. Take delivery by 04-30-2019. See dealer for details. 5Excludes L models. Monthly payment is $13.89 for every $1,000 you finance. Example down payment: 5.2%. Must finance with GM Financial. Some customers may not qualify. Not available with lease and some other offers. Take new retail delivery by 4/30/2019. See dealer for details. 1Not available with special finance or lease offers. Take delivery by 04-30-2019. 2See dealer for details 3Conquest incentive for current owners/lessees of a 2005 or newer non GM 4Must qualify through GM Financial. Not available with special finance, lease, or some other offers. Take delivery by 04-30-2019. See dealer for details. 1Not available with special financing, lease and some other offers. See participating dealer for details. 2Not available with special finance or lease offers. Take delivery by 04-30-2019. 3Conquest incentive for current owners/lessees of a 2005 or newer non GM 4Must qualify through GM Financial. Not available with special finance, lease, or some other offers. Take delivery by 04-30-2019. See dealer for details. 1Not available with special finance or lease offers. Take delivery by 04-30-2019. 2Residency restrictions apply. 1Not available with special finance or lease offers. Take delivery by 04-30-2019. 2Conquest incentive for current owners/lessees of a 2005 or newer non GM 3Must qualify through GM Financial. Not available with special finance, lease, or some other offers. Take delivery by 04-30-2019. See dealer for details. 4Residency restrictions apply. 5Monthly payment is $13.89 for every $1,000 you finance. Example down payment: 4.4%. Must finance with GM Financial. Some customers may not qualify. Not available with lease and some other offers. Take new retail delivery by 4/30/2019. See dealer for details. Will always does a great job in the Service department. This was not a scheduled service and he took care of my car issue right away. Thank you! 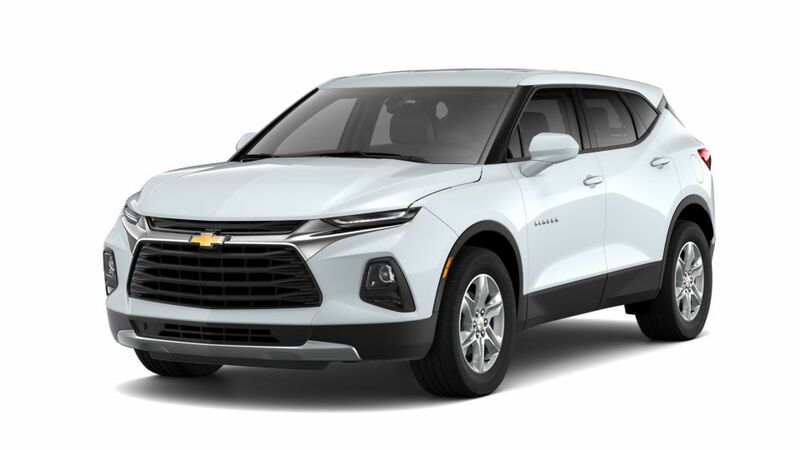 Are you searching for a new Chevrolet vehicle near Sherman or Denton? Make an appointment to visit our Gainesville dealership so that you can test drive one today. During your visit, you can be sure that our team of friendly and knowledgeable sales associates will be on hand to help guide your through the process of picking out the vehicle that matches your need, style and budget. We also have experienced finance representatives to help you identify the best auto loan options for your purchase. So, don't waste another moment. Schedule a test drive today.